Yarmouth South Town frontage. 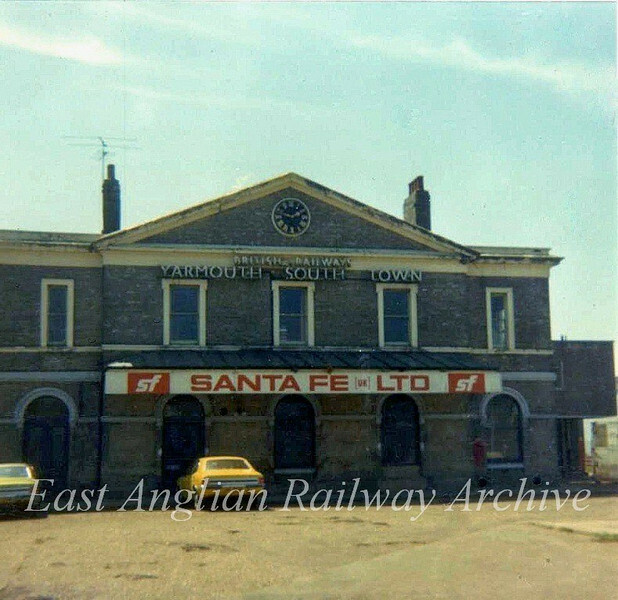 This was the former terminus of the East Suffolk Railway and once the main Yarmouth terminus for London trains.The line from Beccles closed on 2nd November 1959 and by total closure on 4th May 1970 only local services from Lowestoft ran into here. The buildings were demolished in 1978 and no trace remains. A dual carriageway leading over the Haven Bridge now occupies the site. Photo dated June 1975.